My Wey of Life: Getting ready for Christmas! Now who's in the mood for Christmas already?!! 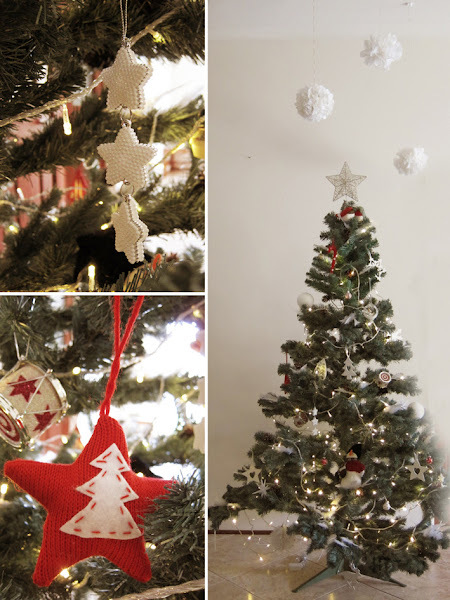 I've made some white pompoms to go with it too! 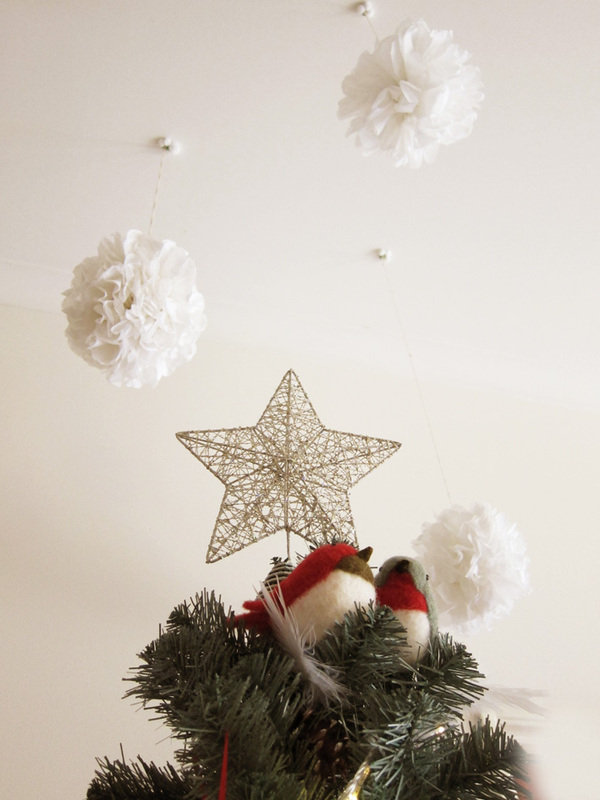 and the 2 lil fat birds... my favourite of all decorations. They just look so lovey together! Got them from David Jones for less than 10 bucks! STEAL! Oh, and I have made some cookies too! Iced them with some pastel colour icing. It's my first attempt doing icing. Find it really difficult to iced the smaller cookies. But after a while, I got a hang of it. Will try making them again next time to perfect my icing-the-cookie technique! so lovely Jo! 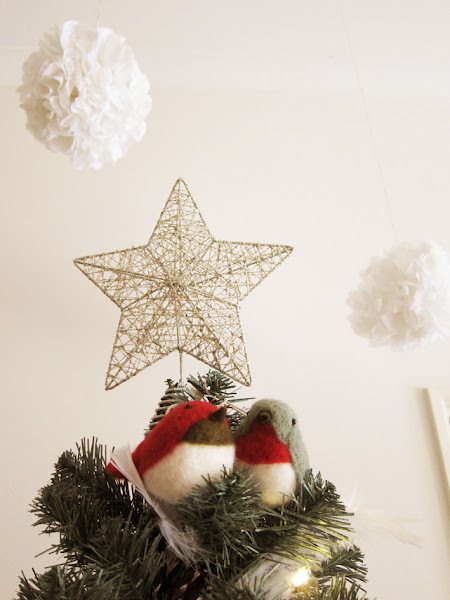 love the decorations, the lovebirds are so cute up on the tree...and pom poms! yay! Good job with the icing! 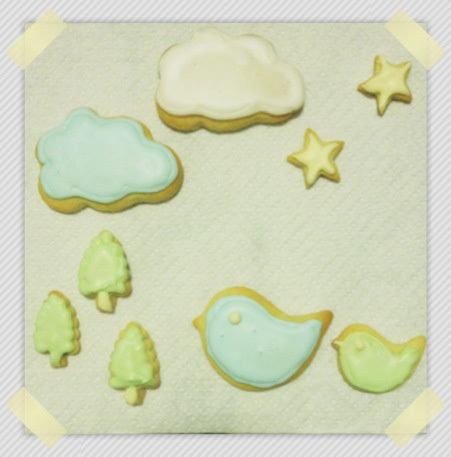 i havent done piped icing for cookies..i used rolled out icing. hehe. Cheers to a Good week ahead! On another note, I have a Scoopon for Rifo's cafe that expires on Sat 2 Dec, but I am going away and can't use it. If you, or anyone you knew would like it, I can email the pdf voucher to you. Hi Margaret! Thanks! I love the christmas deco too! haha. Lenses for my iPhone 4s Yay!